Fintech company Iqianjin (愛錢進) Internet Finance has re-appointed J. Walter Thompson Beijing for brand and creative duties. The agency began working with Iqianjin in 2015, creating a brand campaign to highlight its services in a competitive P2P financial services marketplace. In early 2016, the Iqianjin reappointed the agency again to continue building its brand. After a competitive, three-way pitch, Iqianjin has now signed on again with J. Walter Thompson for 2017. The agency will develop a brand film for TV as well as work that will be published in print and online to promote the concept of P2P financing to a wider audience. 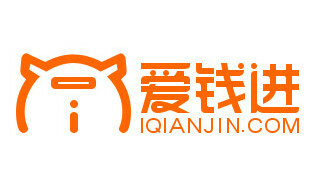 “We are thrilled to continue our journey with Iqianjin. This is a highly ambitious, innovative brand in a very dynamic, new space. We’ve come a long way together over the last two years, and we look forward to taking the brand to the next level,” said Jeffrey Yu, managing director of J. Walter Thompson Beijing. Infographic: What are consumers doing on Facebook this #CNY? A look at what consumers are up to during Chinese New Year and how marketers can get in on the action. ..
Asia's largest mixed martial arts organisation set to hold 10 events a year in multiple cities across China. ..